In Episode 8 houseguest Mike and Susan (his mother) have lunch with Suzanne Salkind and James, both from the HRC, at Hotel Tabard Inn. During the lunch Susan said, “I’m really sorry I asked you to keep your mouth shut. I’m just proud of you.” She went on to tell the story about her marriage. She said that when Michael and she went to get married, Mikie was already 16 months old. The priest she talked to refused to marry them, saying that she was making a mockery of his church. 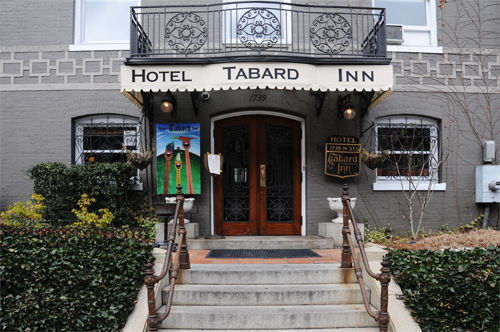 Hotel Tabard Inn is located at 1739 N Street NW, Washington, DC. Click Here for Google Map showing the location of the hotel and restaurant. 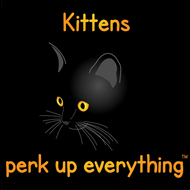 Closest Metro Station: The Dupont Circle Metro Station on the Red Line is the nearest Metro Station to this restaurant. In Episode 7 Mike and Eric (described onscreen in Episode 7 as Mike’s “friend”) as well as at least Emily, Callie, Erika and Ty went to McFadden’s Restaurant and Saloon. While there Mike paid attention to some women. Eric was definitely bothered by it, and he said that Mike was doing it for attention. Although I think it is fair to say that people who participate in Real World as houseguests are, on average, likely to do more than pay attention to women in order to get attention. In any event Erika told Eric that she believes Mike is gay. 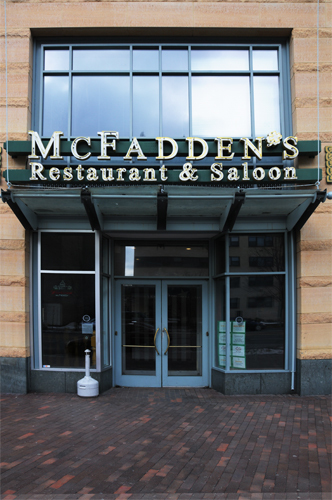 McFadden’s Restaurant and Saloon is located at 2401 Pennsylvania Avenue NW, Washington, DC. Click Here for Google Map showing the location of the restaurant. Closest Metro Station: The Foggy Bottom-GWU Metro Station on the Blue and Orange Lines is the nearest Metro Station to this restaurant. In Episode 7 Callie, Ashley and Erika have lunch at The Grill from Ipanema located in the Adams Morgan section of Washington DC and a little over half a mile from Real World DC house. Erika talks about depression and said that she had thought about suicide. Ashley said that she felt closer to Erika, because they both have had depression. 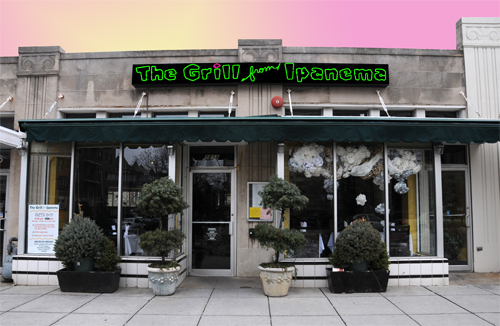 The Grill From Ipanema is located at 1858 Columbia Road NW, Washington, DC. Click Here for Google Map showing the location of the restaurant. Closest Metro Station: The Woodley Park-Zoo/Adams Morgan Metro Station on the Red Line is the nearest Metro Station to this restaurant. In Episode 6 Callie received a photography assignment for the Washington Blade to take pictures at Halo. Callie went to the bar accompanied by Mike and Erika and took pictures. By the time of this entry, Halo is gone. It has been replaced by MOVA. In the picture above you can see a stainless steel rectangular box just above the mail slot. When Episode 6 of the Real World DC was shot, that was the sign for Halo. Also the name Halo still appears on the glass door to the right of the mail slot, although the image above is too small to be able to read it. 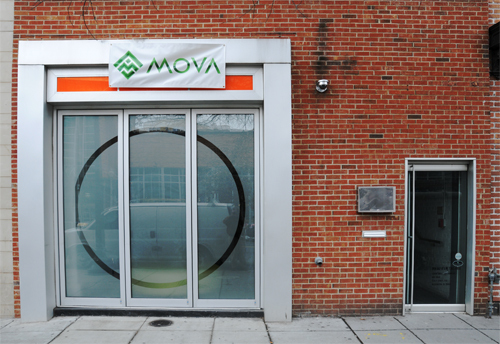 The old location for Halo and the current location of MOVA is 1435 P Street NW, Washington, DC. Click Here for Google Map showing the location where Callie went to take photographs. Closest Metro Station: Halo/MOVA is equal distance from two Metro Stations, Dupont Circle on the Red Line and U Street/African-American Civil War Memorial/Cardozo on the Green and Yellow Lines. In Episode 7 houseguest Mike meets Eric for lunch at the Front Page Restaurant and Grill. It’s a lively lunch. Mike wants to be friends, and Eric wants more. 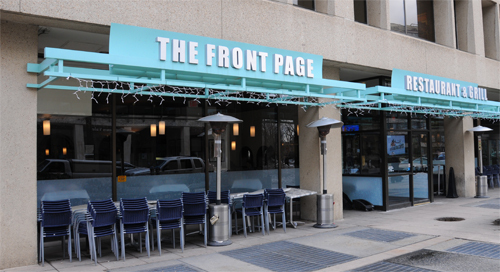 The Front Page is located at 1333 New Hampshire Avenue NW, Washington, DC. Click Here for Google Map showing the location of the restaurant. Closest Metro Station: The Dupont Circle Metro Station on the Red Line is nearest to the Front Page. In Episode 7 Erika is accompanied by all the other houseguests (Andrew, Ashley, Callie, Emily, Josh, Mike and Ty) as she heads to Georgetown to do some shopping. But as often happens on Real World DC, things don’t go as smoothly as they might. Most of the houseguests want to stop for lunch at Garrett’s Railroad Tavern before any shopping actually gets done. Erika said, “Well I came here to go shopping. I didn’t come here to sit in a restaurant.” Whether she stayed at the restaurant, I don’t know, but at least the other houseguests did. 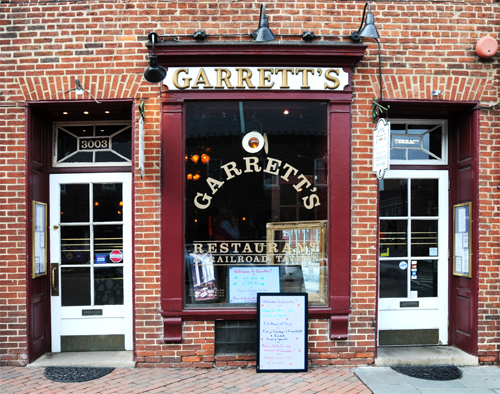 Garrett’s Railroad Tavern is located in Georgetown at 3003 M Street NW, Washington, DC. Click Here for Google Map showing the location of the restaurant. Closest Metro Station: The Foggy Bottom-GWU Metro Station on the Blue and Orange Lines is nearest to Garrett’s Railroad Tavern. In Episode 6 Ashley and Andrew fight. Ashley leaves the house for the night and goes to the Churchill Hotel. Ashley didn’t have to walk far that night, as the Churchill Hotel is only about 3 blocks from the Real World DC house. The Churchill Hotel is located at 1914 Connecticut Avenue NW, Washington, DC. Click Here for Google Map showing the location of the hotel. 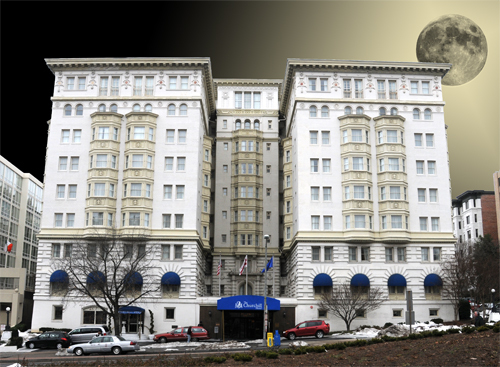 Closest Metro Station: The Dupont Circle Metro Station on the Red Line is nearest to the Churchill Hotel. In Episode 6 Callie talks about her interest in photography. Callie, Emily, Ashley and Erika walk together while Callie takes pictures, and they end up stopping at ACKC. 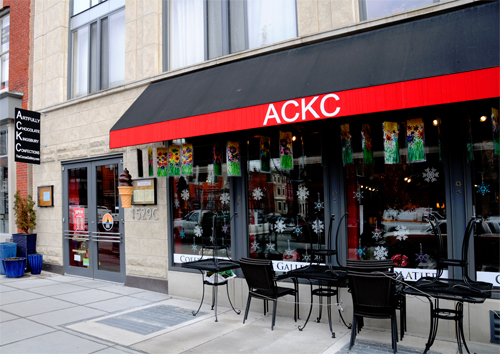 According to the sign by the door, ACKC = Artfully Chocolate Kingsbury Confections. Inside Emily looks at photographs Callie has taken including one of a rather noble looking dog. 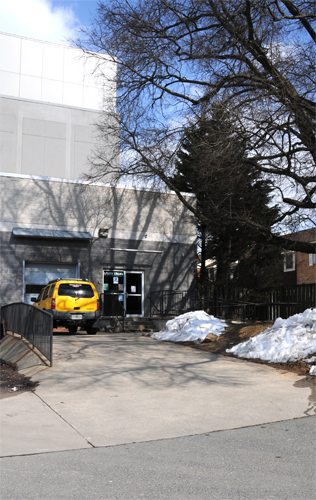 ACKC is located at 1529 14th Street NW, Washington, DC. Click Here for Google Map showing the location of ACKC. Closest Metro Station: ACKC is near Logan Circle, and the nearest Metro Stations is U Street/African-American Civil War Memorial/Cardozo on the Green and Yellow Lines. In Episode 5 Josh was unhappy about how things were going with his girlfriend Ashley. He said he just wanted to do something that would hurt. So he and Ty went to Jinx Proof Tattoos and Piercing. It’s located in Georgetown. Jinx Proof is in the same block as Rhino Bar, a location frequently visited by the houseguests. Jinx Proof is only about 5 doors away from the Rhino Bar. 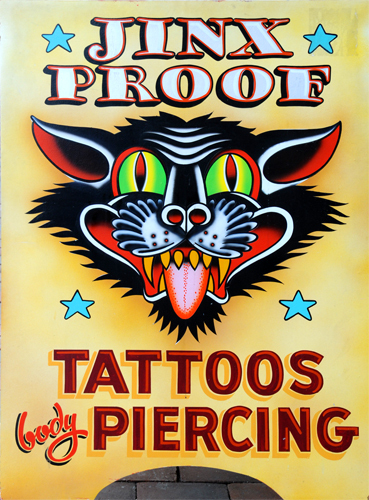 Jinx Proof Tattoos and Piercing is located at 3285 1/2 M Street NW, Washington, DC. Click Here for Google Map showing the location of Jinx Proof. Closest Metro Station: The Rosslyn Metro Station on the Blue and Orange Lines is about eight-tenths of a mile and across Key Bridge. The Foggy Bottom-GWU Metro Station, also on the Blue and Orange Lines, is about 1 mile away. The walk from Foggy Bottom-GWU along Pennsylvania Avenue NW and then M Street NW runs right though the middle of Georgetown. In Episode 5 of Real World DC all eight houseguests, Andrew, Ashley, Callie, Emily, Erika, Josh, Mike and Ty went rock climbing at Earth Treks. Earth Treks is an indoor climbing gym. This place is about 13 miles from the Real World DC house, and this location is by far the greatest distance the houseguest have gone from the house through this episode. 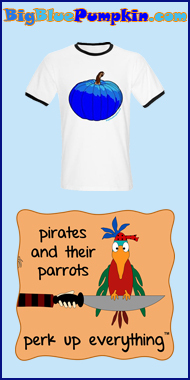 This place is a little hard to track down. Although it has an address on Rockville Pike in Rockville, Maryland, it is in the back of a giant furniture warehouse, and it doesn’t face Rockville Pike. It faces the back parking lot. People walking or driving along Rockville Pike wouldn’t be likely to know that it was there. 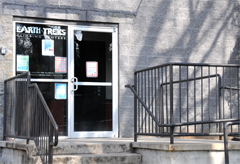 Earth Treks is located at 725 Rockville Pike, Rockville, MD. Click Here for Google Map showing the location of the indoor climbing gym. Closest Metro Station: The Rockville Metro Station on the Red Line is the nearest to Earth Treks. Although this is a suburban location as opposed to the more urban locations for most the Real World DC houseguest activities, it isn’t too far from the Metro Station, probably only about half a mile. But the Metro Station and Earth Treks are on opposite sides of the very busy Rockville Pike.